7 is the Number of Balance between all Realms of Consciousness. 7 Seed/KAN is Tone 7 and Kin 124 (1+2+4=7) in the 7th Uinal. Our Consciousness is magnified to the Balancing within our Self of who we Dreamed To Be. We’re suspended as the Crysalis of a Butterfly in the Creative Void. Tone 7 offers a Reflection of Balance between the Above and the Below by a Human Effort of Intention. We are drawing a Circle that will hold the Integrity of what we put inside, as the Design of our Creation. Flint is said to present temptations. Our thoughts are likely to float in different directions. Flint tests Truths and Strengthens our Intentions, because we are forced to Stand on our Truth. Truth will be the stationary Point in the Center of a Circle that moves around us. 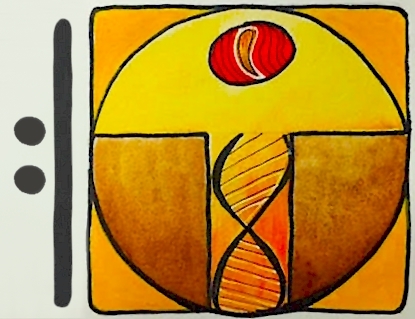 Seed/KAN is the Seed of Who We Are, the Day Sign that Identifies Who we were Designed to Be by the Creator. The Maya saw Human in the Corn. Their lives centered around Corn. They saw that children who were conceived with the Corn were born at the Harvest. KAN is the Spark in the Seed, the Design of the Creator, who Dreamed for Us what we would be capable to Dream for our Self. Flint/ETZNAB is applying our Power of Chicchan. Each transformation builds on the experience of the preceding trecena. Serpent/CHICCHAN was the last trecena, raising our Consciousness of CHICCHAN. The Flint/ETZNAB trecena applies that Truth to create new Wisdom by an Experience. CHICCHAN is the “Lightning in the Blood” that moves through our body, a Movement of Spirit that we Feel in the body. Once ignited, our own Truth will hold Authority over false truth of an illusion playing out in the world around us. The Obsidian Knife is forged by Fire as volcanic glass, and cuts to the Heart of Truth. The Flint Knife strikes a Spark. Number 7 is a Promise of Balance between the Above and the Below. The 7th Tone of the Flint trecena, is a Divine Discernment of the Truth we can Stand On. We are intended to “Clearly See” the Serpent and the Power of CHICCHAN. Tone 7 is the place of Balancing, compared to the top of a pyramid at the Peak of our Climb. The thoughts and intentions we held in our Consciousness are balanced between the Above and the Below. Our journey of darkness was the Human effort of Transformation. We are standing in the balance for an equal effort returned by Divine Agency. Tone 7 divides Light from Darkness to reflect all that is and all that is not. 7 is associated with the flow of Divine Will that establishes the purpose of our experience. We can discern that a fulfillment of Spiritual Power is the Divine Will of the Creator. Seed/KAN holds the design for creation. By Divine Design a seed of corn will grow up to bear the fruit of corn, and so will the descendants of the Creator bear the Fruit of Spirit. Tone 7 brings the gift of Reflection. We are given a Higher Perspective to reflect on the experiences in every direction of our life. Seed holds the Spark of the Creator’s Power. As we nourish the Seed of our True Identity, we will take on the Gifts of Spiritual Maturity. At Tone 7 we reach the Peak of our Climb. The trecena’s wave of energy has lifted us to a place where we are capable of a broader field of vision. Flint/ETZNAB has presented us with Truth about ourselves for the purpose of Clearing a Way. 7 is a Tone of Reflection. If we look at our experiences of Truth all-together, we can learn something new about ourselves. Seed/KAN encapsulates everything we would choose to be. We saw the things we would leave in our past and the dream of ourselves we would carry forward. Together they hold the answer to the Essence of Who We Are. We set the parameters for the Truth of our Integrity. 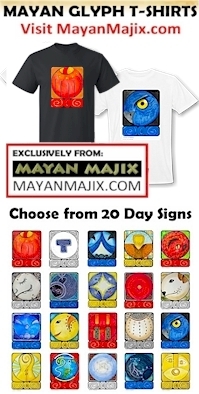 The Cherokee Day Sign, Dragon, defines the Essence of who we are as Dragon Energy, a Force of Life compared to “dragon lines” or ley lines, or the force of Pyramid Power. Dragon energy brings the ability to “see clearly” to the Core of our Divine Identity.